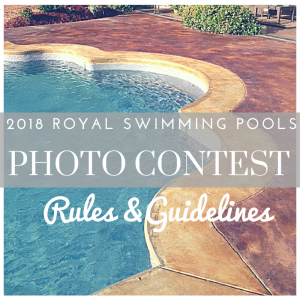 Summer is here and that means that it’s time for Royal Swimming Pools Annual Photo Contest! The contest is open to all Royal Swimming Pool pool kit customers! You’ve put in hard work designing, building, and making your pool amazing! Now it’s time to show it off! There’s never been a better time to participate as this year there will be prizes for Inground, Semi-Inground, and Above Ground pool entries!! We have TONS to give away; everything from floats and fountains to hover boards & more! (Optional) Include a brief summary of your pool purchasing and installation experience! We’d love to hear how it went! Entries will be accepted until August 31, 2018. Follow us on Facebook and Instagram as we will be awarding winners throughout the contest! There’s no limit to how many photos you can enter so take some risks! Make some photos magazine quality! Make some fun or play with composition. Send them all in! All photos submitted to our Yelp page will be entered to win one of several additional prizes just for posting! Photo caption must include the first and last name used in the pool kit order. 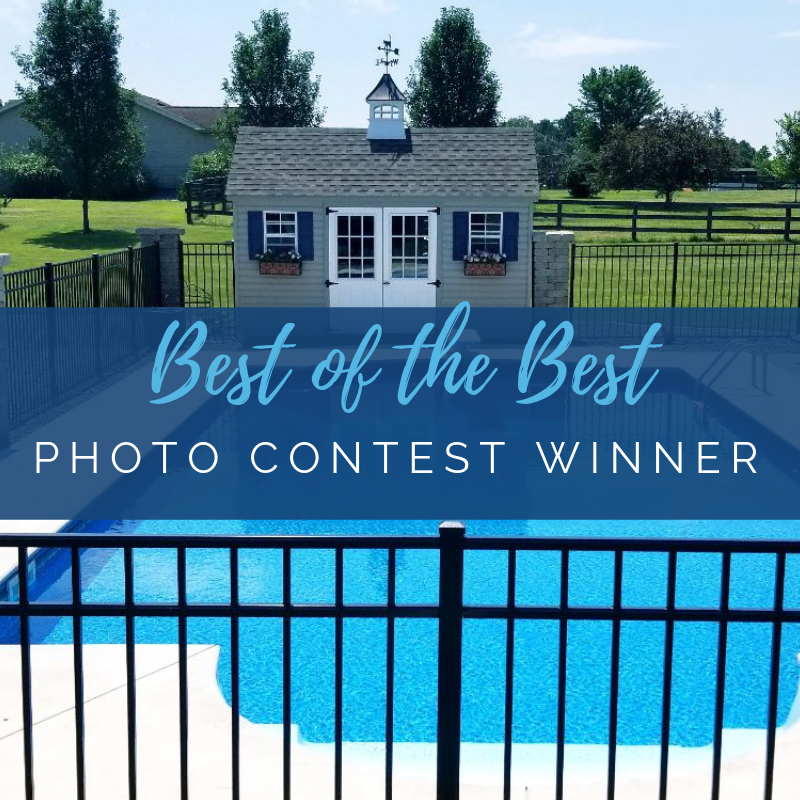 Photos submitted to Yelp will not be entered into the main contest unless the owner of the photos also submits them to photocontest@royalswimmingpools.com with the required information previously mentioned. If photos are submitted to both Yelp and photocontest@royalswimmingpools.com the pool owner has a chance to win prizes from both contests! By entering the contest, you're granting Royal Swimming Pools the unrestricted, royalty-free, perpetual right to use, reproduce, communicate, modify and display the works (in whole or in part) for any purpose without any fee or other form of compensation, and without further notification or permission. All photos posted to Yelp are entered to win regardless of review or ratings provided. 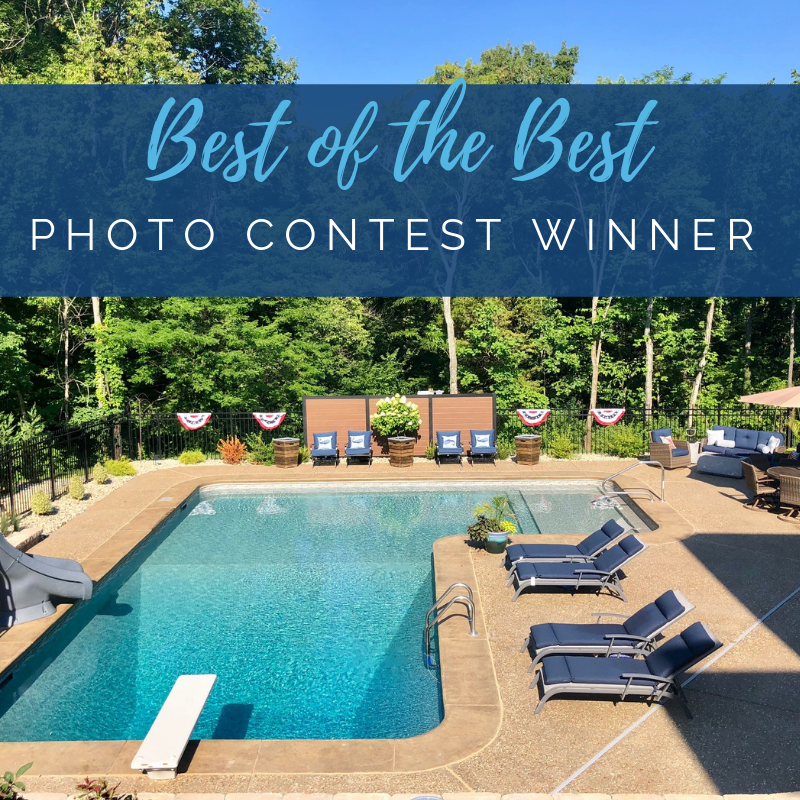 "Best of the Best" Photo Winner!